Grammy®-nominated Swedish DJ/producer Alesso's new single 'Heroes (We Could Be)’ ft. Tove Lo is looking set to do well in the UK charts with over three million combined YouTube/ Soundcloud plays ahead of its 16 November release. Now, scheduling three solo headlining UK and US concert events, Alesso will play at the Shrine in Los Angeles on Saturday 22 November, O² Academy Brixton in London on Friday 19 December and at Warehouse Project in Manchester on Saturday 20 December, having previously sold out all three venues on his world ‘Uprising’ and ‘Ascension’ tours last year. In just two weeks, 'Heroes (We Could Be)' has received support from BBC Radio 1 DJs Pete Tong and Danny Howard, has been play listed at Capital Xtra 10 weeks from release and hit the Top 40 Global Shazam charts. 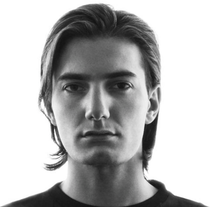 As 'Heroes (We Could Be)' was beginning its ascent, Alesso made pop history when the video for ‘Tear The Roof Up’, his international single release from July, became the first clip to premiere on Snapchat (12 September), the photo and video app whose content is viewed a half-billion times daily. The video's exclusive Snapchat premiere was viewed 560k times in just 30 minutes, followed by its worldwide release on VEVO. Alesso is also working on the completion of his debut album for Virgin EMI UK /Def Jam Recordings.